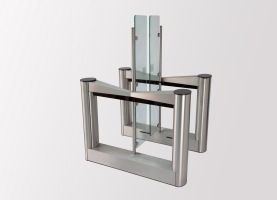 The Fastlane Glassgate 400 comes with dual security barriers for standard lanes. The new dual glass panel Interlane facilitates either standard or DDA/ADA lane widths thus a set of DDA/ADA width disabled lanes can be provided, unlike the 200 variant that can only have one DDA/ADA lane per set of lanes. More Secure – Different height glass barrier options available for Speed Gates to deter people from climbing over. – More Secure – 24 beam IR detection matrix provides unsurpassed tailgate detection and deterrence; tailgaters are detected following as close as 5 mm behind authorised users. – Barriers are designed to close quickly and safely behind users after they have cleared the lane therefore deterring tailgaters. – 2-stage alarm response: early audible warning alarm followed by a secondary output for a higher security response e.g. to trigger CCTV or lock doors. Fastest Throughput – Throughput of up to 1 pedestrian per second through Fastlane pedestrian speed gates means a greater return on investment and often means fewer lanes are required, with less wasted time in queues leading to greater user acceptance. Intelligent Security Gates – Retracting or swinging glass barriers intelligently control traffic flow while maximising throughput. Barriers stay open while additional authorised people walk through – even if they are walking in the opposite direction. Unsurpassed Accuracy – Virtually eliminates false alarms. The intelligence of Fastlane enables the system to differentiate between body mass and small objects such as umbrellas etc. 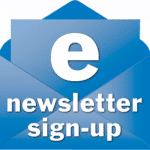 This increases user and guard acceptance, avoiding “”tune-out”” from excessive false alarms. Easiest Installation and Ongoing Maintenance – CAT 5 interconnections provide plug ‘n’ play simplicity. Industry proven technology and onboard diagnostics to ensure maximum system up-time. Safety – Fastlane Speedgates feature up to 8 safety beams designed to stop the barriers from moving in the event that any of the beams are broken. The units feature a fire alarm input to allow for unimpeded emergency egress and the units can be configured to fail safe in the event of power fail. 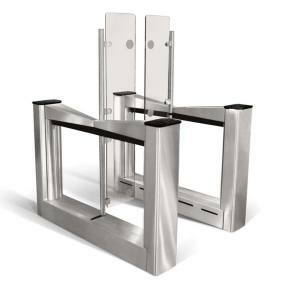 Fast Throughput – The Fastlane Speedgates feature a Throughput Management system. When activated the barriers stay open after an authorised entry for a defined period of time to await another authorised card. This negates the need for the barrier to open and close in between authorised people at peak traffic times. 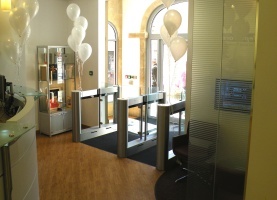 Disabled Access – Fastlane Speedgates can be installed in a number of ways to allow for wheelchair access to make the installation compliant with the UK Disabilities and Discrimination Act (DDA) as well as most similar international standards. Audio and visual feedback is provided as standard.